A Taliban attack on a police headquarters in Paktia province in eastern Afghanistan has left at least five policemen dead and 25 more people injured, according to media reports. Update: 4 people were killed and 25 wounded in complex attack on #Paktia police HQ this morning. 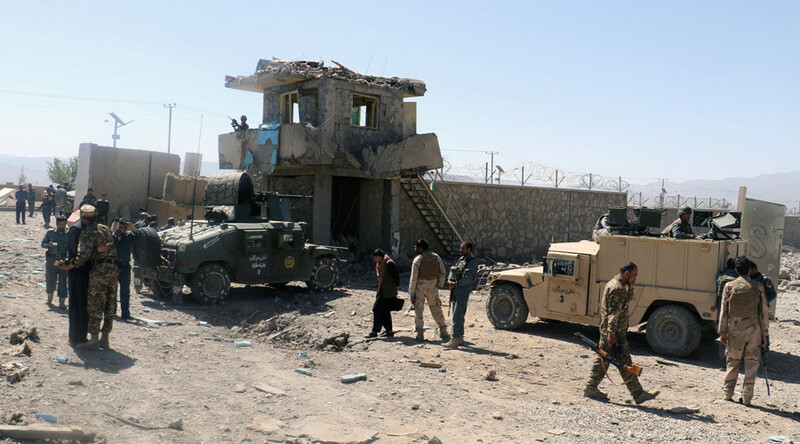 A suicide attacker detonated a car packed with explosives at the entrance of the police compound in the city of Gardez, the capital of Paktia province, said Najib Danish, a spokesman for the Interior Ministry, as cited by Reuters. The attacker opened the way for other insurgents to penetrate the headquarters’ territory. Two police officers were killed and five wounded during the attack, Reuters reports, citing Danish. The news agency cites local hospitals as saying that five policemen are dead and least 30 people injured, including 20 civilians. Responsibility for the attack has been claimed by the Taliban terrorist group, which asserted that at least 100 police officers had been killed, according to Reuters. Another blast occurred inside the police compound when a second suicide bomber detonated his explosive vest, AP reports, citing local police official Sardar Wali Tabasim. He added that two other insurgents were killed by police, but a fight with one remaining attacker is ongoing. Eight officers were also injured, Tabasim said.